Specific Exercise Breathing Techniques that you can do on a daily basis (Recommended in a Morning, Afternoon or Dinner right before you eat). This breathing technique will activate your Parasympathetic Nervous System. 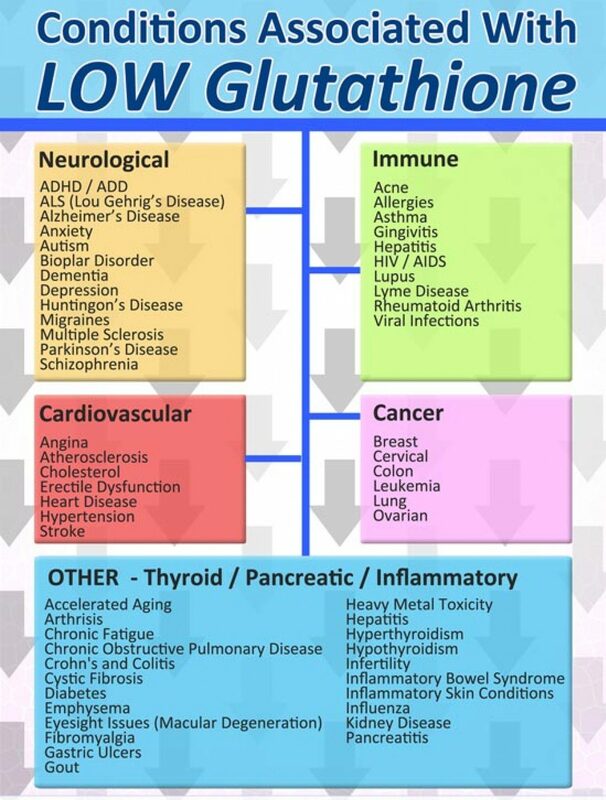 Once its activating, were activating the rest and digest part of your system which will help you digest your food better, relax the body, bring the stress level down so cortisol levels will go down and this is the very important part of the nervous system in the body that gets activated during the day. Lay down exhale completely and do 10 breaths. Hold it for 3 to 4 seconds and then exhale all the way. (Please see the video). Putting a lot of energy to get it to the lower pelvis, not just in the belly but down to the pelvis breathing deep into the pelvis. If you have not done this before don’t use weight, you can use your hand just to put a little pressure, you’ll have a challenge just getting the breath down into your pelvis because you have not activated those muscles, you haven’t brought air that deep in your stomach in a long time. So try it out 3 sets a day, 10 reps each time so 10 deep breaths. Exercise that is extremely powerful not only into your eyes muscles which will help with reading and seeing better but will also dramatically help your brain which will directly improve your movement patterns. Take 5-10 minutes a day to do this exercises. You will see dramatic improvement in your eyes and dramatic improvement in your neurology, the way your brain functions and your movement patterns. 1. Put your thumbs up. One thumb off to the left up to the left and then down to the left and then keep your head up and you’re going to look down at your thumb and then back up and reset look forward in between. (Please see the video) Do 4 sets, try to minimize the head movement and just use your eyes. Switch sides, same thing look down and then up. 2. Arms on the side look forward and then look to the left, look forward again and look to the right. Try to focus and if you need to, bring your hands further a little bit more and then repeat. Do 4 reps. Think about how your brain feels, how your eye feels. 3. The next one we’re going to do, snub all the way up in the air, head straight. Look up in your thumb make sure it’s in the line of vision and we’re going to do a big circle all the way around and then to the other side. (Please see the video) You can do that twice. 4. Thumb straight in front of you and then bring it in. Focusing on the thumb as it comes in close and then bringing it out and repeat. 3 reps.
Those few exercises you can do upon awakening. It will actually awaken your mind up right away. When your eye looks into certain areas it goes into certain compartments of your mind, and instantly it will awake your brain up and will access parts of those brain that have maybe not been functioning properly or you haven’t been using in a long time. That will access those parts of the brain instantly and will help you move better as well as helping your eyes. Mobility exercises that will increase proprioception. So essentially what’s that gonna do is make you feel safer in your environment. 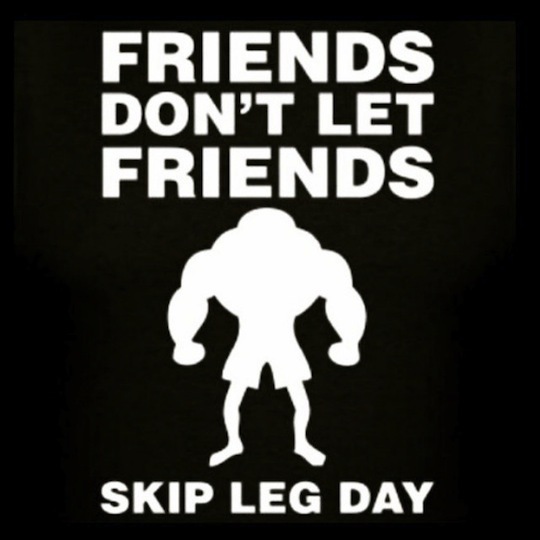 And also, it will reduce pain. If you do something like this – even 5-10 minutes a day, it would literally change your entire life. You’ll have more awareness in space, you’ll increase your visual perception and you’ll also increase your breathing, which will reduce stress and threat to the body and allow your life to become better. So I’m gonna take you to every joint and we are going to do movements to every joint and it’s going to loosen the whole body. One thing I want you to do while you’re doing this is belly breathing. So breathing in and out through your belly. Here we go, we’re gonna get started and follow me through we are going to get about 3 to 5 repetitions of each exercise. -Look across, up and over, when you look up and across try to push your head up to the top and feel a good stretch all down your neck. -Combine two movements, tilt the body back and forth then switch back the other side (like a gyration). -Rock the body down to the side (looks like your entire torso is forming a circle). And rotate. 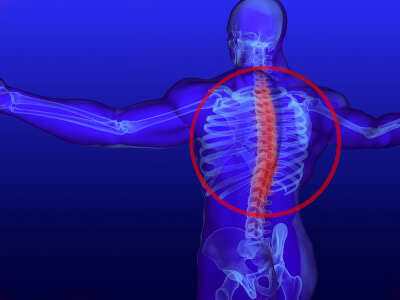 If you’re dealing with back pain you may need to avoid this one. So there you have it! That’s total mobility from head to toe. You just loosened up your whole body. So that’s perfect, the next thing you can do is a dynamic warm up before your workout, but if you just do this on a daily basis you will have better connection (mind body connection) with your body, you’ll reduce injury, you’ll increase performance and increase total body awareness, if you can tell, I’m slightly breathing a little bit heavier. You should focus on your breathing in the training. I was speaking so it’s hard for me to focus but while you are doing those movements, you should be going <INHALE> <EXHALE>… you’re gonna get more oxygen to the body and therefore increase performance, get more oxygen into the lungs – and going to feel better. Alright, so this is Ian Hart with EarthFIT training. There you go, that’s mobility exercises from head to toe. Go ahead and do that 5-10 minutes a day and you’re gonna see how it changes your life and your performance. “Alright, so in this video I’m talking to you about something so powerful that I think everybody on earth should be taking it everyday and the reasons being is it’s just an unbelievable super food. Now, this has been studied (the product that I’m talking about right now which I’ll get to) has been studied for almost a century now. In the 1950s there’s a study on children who took this supplement and children who didn’t take this supplement and what they found was the children who took this supplement and I’m speaking about “Chlorella” and specifically in this test it was chlorella growth factor. The children who are on this supplement (it shouldn’t be supplement, actually food) It’s considered a food but we talk about is a supplement in this box. The children who are on the chlorella growth factor grew taller, their palette formed better, they looked healthier and stronger like physically and that is what I’m going to get to when we speak about the 7 proven and researched ways that chlorella can benefit you. Now, I’m such a believer in this because my wife took this all during the pregnancy and I’ll tell you the reasons why and my son has been taking this ever since he was born and one of the reasons being that study but also because of the other benefits that I’m going to speak about. When we talk about protein really, what we’re talking about is amino acids. And amino acids are there is 21 amino acids that make up a full protein. Now this is a considered an algae. This algae has one of the best make ups of amino acid that you can get from non-meat and it provides about 16 grams of protein per ounce plus you are getting zinc, magnesium which we’ve spoken about, iron, vitamin B3, B2, A. 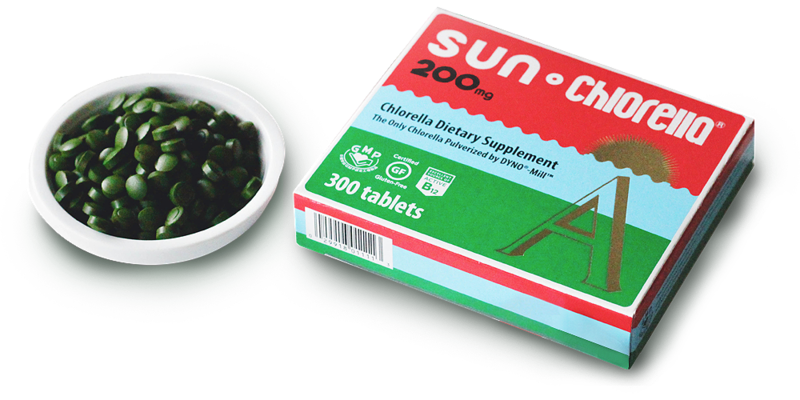 Pretty much you are getting the necessary recommended doses from chlorella. So it is extremely powerful when it comes to just giving you the nutrients you need. But, the most important part which I’m going to get into and most people speak about it is the fact that it detoxes the body. And before we talk about detoxification, it something that everybody should be conscious of all the time now we are exposed to toxins. If you have been vaccinated, if you eat fish, if you’ve lived in a city, if you’ve drank from a city water, you want to be taking chlorella because this prevents the toxins from going deep into the tissue, it will absorb the toxins, carry it out as well as remineralize and give you the amino acids that you need. So now if you are detoxing, you want to make sure that you go slow with this because you don’t want to detox too fast because that will also cause a problem. Now that’s one of the things that it does now on top of that because of all the benefit that it has, it also supports your immune system. It’s a little bit of a blood thinner so it helps get nutrients and circulation going, it also promotes weight loss. This is something that’s been studied and proven as well and then like I mentioned before with the children, it made them look healthier and stronger. This also makes the person look and feel younger. So the research is continued to reveal that this slows down the ageing process because you are getting the necessary nutrients that you might be missing and again this goes back to why gut function is so important and so as it improves your immune system as well, it helps you fight off cancer. It raises the immune system to fight off any infections or cancer cells that are now building in the body. The last thing is it lowers your blood pressure, and cholesterol so I would highly recommend chlorella. I can go on and on about this supplement. The biggest thing that I want you to take away from this is that you are getting a lot of the nutrients, protein mixture, good amino acids plus vitamins and minerals that most people are missing nowadays and on top of that it’s detoxing the body of impurities that you want to get rid off, we want to continue to get rid off and as you’re exposed to them continue to take and that is why I recommend chlorella everyday. Hey! What’s going on? Here’s a video that will help you reduce neck and shoulder pain. 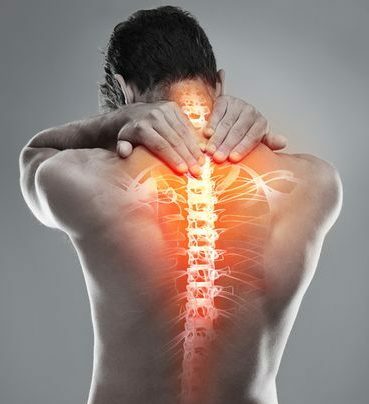 As you can see the neck and the shoulder are connected so a lot of times they are affecting one another and there’s a lot of muscles, tendons and movement going on in these areas and if you are not moving properly, it can exacerbate the issues. So, what we are going to do is we are actually going to hit every single joint across the neck and the shoulder to increase mobility proprioception and activate the muscles that you might be missing, stretch some of the tight muscles, strengthen some of the weak muscles, and then therefore eliminating pain just through movement and a lot of times that’s all it takes just activation of these movement patterns. So, this is Ian Hart. I hope you enjoyed the neck and shoulder program and I’ll see you on the other side. “I would highly highly highly recommend this program to anyone. Like I said, I’ve tried so many programs in a lot of different cities, most recently Boston, and I don’t think anybody has achieved what they have achieved here and what EarthFIT has achieved here in Beaufort, South Carolina so I feel like we’re really fortunate to have this kind of program here and I highly recommend you try it. It’s quick, it’s efficient, it’s safe, and you’ll feel so incredibly good at the end of it. You feel amazing and you see the results and you… it’s not only physically seeing the results, but definitely mentally as well. You just feel better all over and again I highly recommend it. Before I came to EarthFIT, I had tried a number of different gyms over the past 30 years, a lot of different programs and I’d love to mix it up. I did the crossfit thing, I felt strong but ended up hurting myself pretty significantly and knew I couldn’t go back to that but I had trouble finding a program that had great intensity that I could have fun with and still see a lot of results. You see results immediately to your body. I love to come here, you’re walking into a friendly environment, everybody knows your name, you get a nice greeting. It’s clean, it’s organized, it’s almost personal training and an environment where you can work of one another’s energy and push one another in the class. It’s personal training, because the trainers they know what you’re capable of as an individual, when to push you, when not to push you, they’re constantly on you for your form and you know, keeping you motivated. Nano particalized means that the supplement gets absorbed directly by the mucus membranes and go straight into the blood stream for utilization. The three supplements we carry are from the highest quality nanoceutical company called Nanoceutical Solution which specialize in Nano Methyl B12 Vitamin for Energy/Allergy/Brain Health, Nano Vitamin D for Immune support and bone health and Nano Glutathione.? 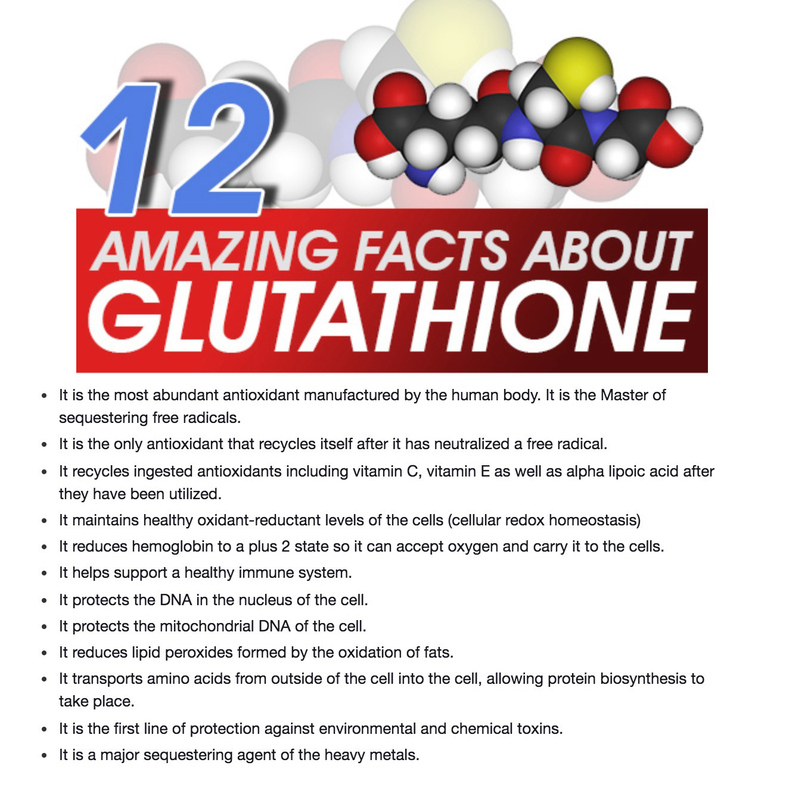 ?Many people do not know what Glutathione is and how important is it for every function of the body. 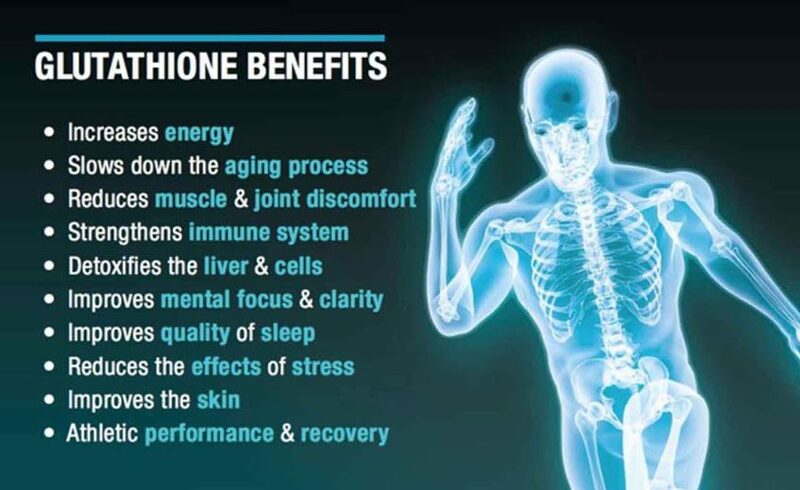 ?See more info on the benefits in the info graphic below.